Microsoft has begun shipping the Kinect for Windows hardware, opening the door for a wave of motion-based applications for PCs. The newly-developed peripheral is now available for £249, although Qualified Educational Users, can get a $100 discount later this year. 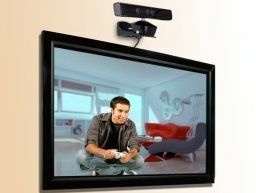 The launch of the Kinect for Windows hardware accompanies the release of version 1.0 of the commercial SDK and runtime to enable developers to get to work on new applications. The official launch of the SDK brings several improvements on Beta 2, which was released three months ago. Among the new features is support for up to four peripherals on the same computer, improved skeletal tracking and the new Near Mode which allows the sensor to track objects as close as 40cm from the device. The full list of new features can be viewed on the Kinect for Windows blog. Wednesday's launch lives up to CEO Steve Ballmer's recent promise to make the devices and software available on February 1st.